Instead of getting all sappy for the upcoming holiday, I thought we might have a little fun with it. 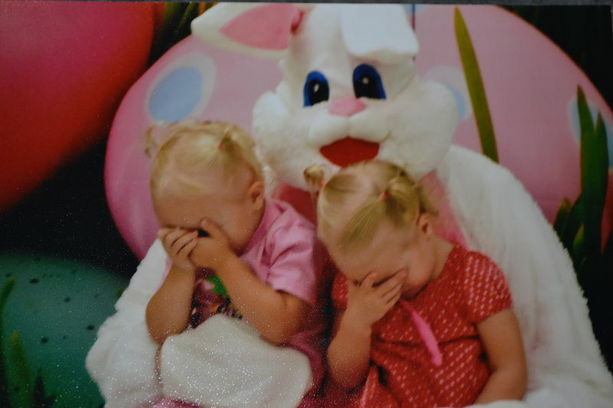 I came across a whole slideshow of "bad Easter photos" here, and picked some of my favorites to share with you. I feel like such an awful person because I think they are absolutely, kick you in the crotch hilarious. The consolation (for the children) is that in the long run, they probably won't even remember the event. 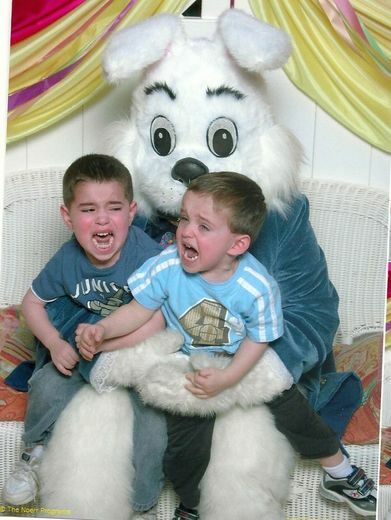 But, the pictures record the terror of the Easter Bunny for posterity, and boy, are they priceless. 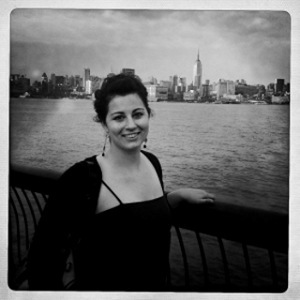 So, have a look at the pic above. Poor things. They're scared to death. 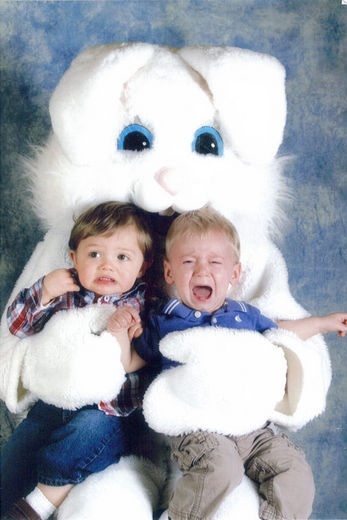 And, in their defense, the Easter Bunny does look like he is literally gnawing on their heads. She's like, "screw being lady-like, I'm outta here!" This one looks like there's going to be a brawl bustin' out at any second. 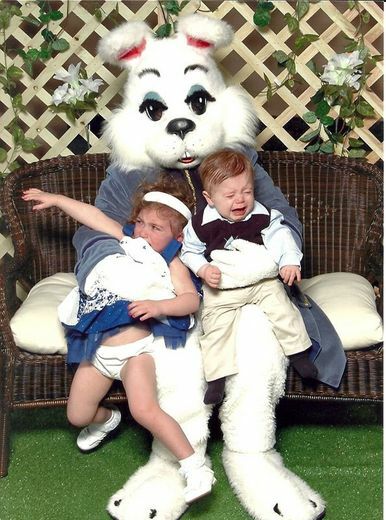 I actually feel sorry for the bunny. 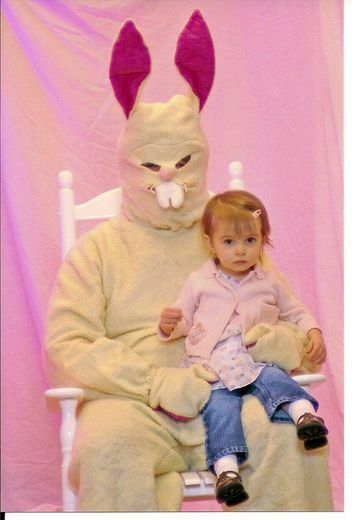 What kind of deranged, psycho-killer bunny is he supposed to be. Yikes! Shame. Just so much shame. 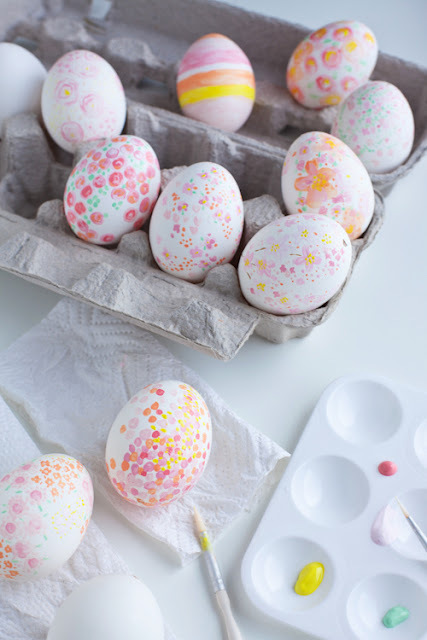 And, I suppose I might as well throw in a little bit of Easter decor too, just to try and redeem myself. So, here are some sweet hand-painted eggs for you to enjoy. I think they are darling, and would probably be pretty easy to mimic. Every. Single. Year. I LOVE them. 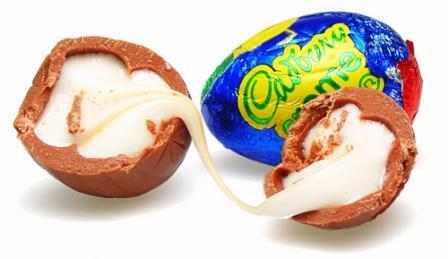 I think I can hear some of you gagging from here. I'm limiting myself to 100. Okay, maybe just 4. But, I wish it was 100. Soooo goooood. hahahahah!! I just laughed at desk at work hahaha!! Great post!